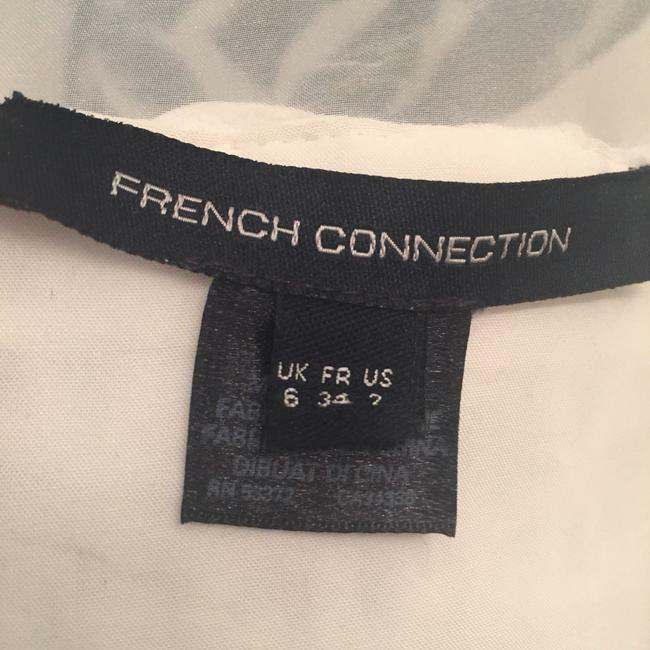 French Connection lightweight white dress. Perfect for summer days or nights. Great for brides looking for stylish dresses for their engagemeny photos, engagment party, bachlorette party, bridal shower or Royal Blue lace pattern mid length dress. 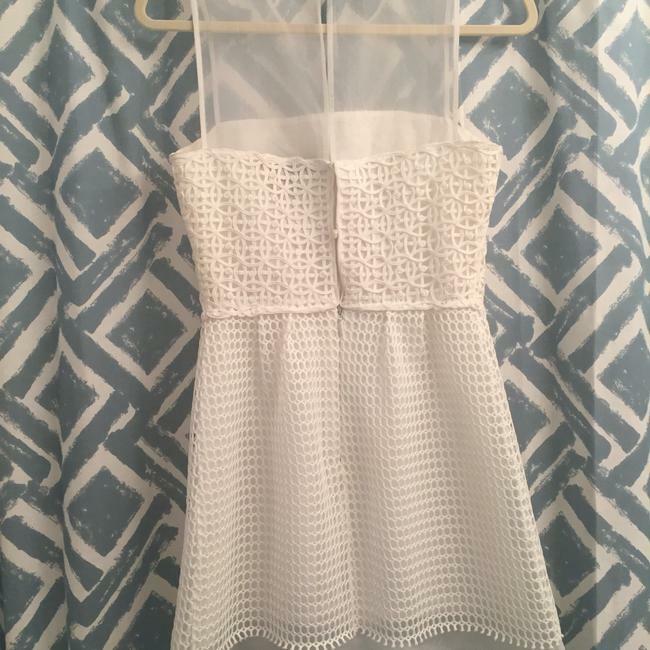 Perfect for cocktail parties and summer weddings. 80% polyester, 20% nylon dinner. Comfortable and flattering on all figures. Easy to wear. 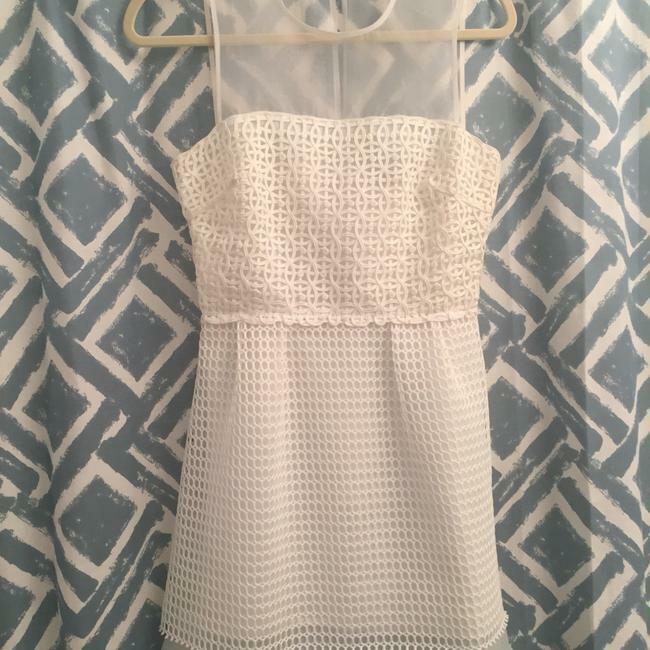 Great for travel ad the piece does not wrinkle.